The application site comprises the currently vacant parcel of land south of the Concorde Roundabout on Hayes Way, Patchway in North Bristol and is approximately 1.4 ha in size. The site is bordered by Hayes Way to the west and north with the Charlton Hayes residential development beyond, undeveloped land to the east, a Royal Mail depot to the southeast and the former Filton Airport to the south which is no longer operational. The site is located on previously undeveloped land and currently remains unused. The development site is located within the wider Charlton Hayes development plan area and has an existing planning permission for B1 Office Use under planning application ref: PT03/3143/O. The proposed development is for the construction of a new Lidl neighbourhood food store with associated car parking, servicing, access road and peripheral landscaping. Access to the site will be provided from a newly formed access road east of the site leading onto Hayes Way. The store will extend to 2,125 sq.m gross internal area with net sales of 1,325 sq.m. The proposed food store will be supported by 158 car parking spaces, including 8 dedicated disabled spaces and 11 parent and child spaces. Secure cycle storage will also be provided. • The redevelopment of a currently vacant and underused parcel of land. We, the undersigned, fully support Lidl's proposed application for a new food store off Hayes Way, Patchway. We agree to our petition data being used to lobby local Councillors and South Gloucestershire Council. 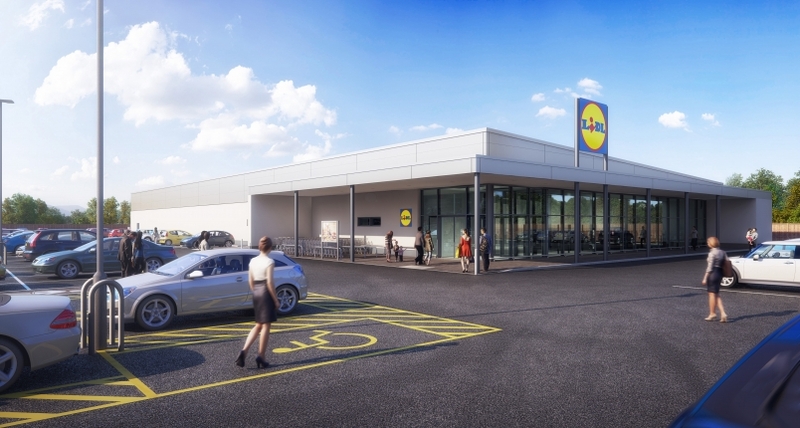 The Support Lidl at Hayes Way, Patchway petition to South Gloucestershire Council was written by Jemma Cam and is in the category City & Town Planning at GoPetition.